« How Passive Aggressive Are You? 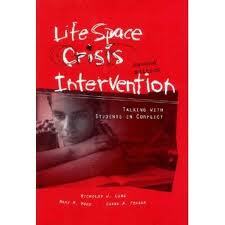 Life Space Crisis Intervention (LSCI) LOGO Contest is Open. Vote now! I need your help! As many of you know, I am the COO of the fantastic Life Space Crisis Intervention Institute–a training program whose elements I use every single day in my work with young people. We are in the process of updating our logo and have narrowed our designs down to these three choices. Please let me know which one of the images below you find most visually appealing and which one you think best communicates LSCI’s work with professionals, parents, and kiddos. Simply identify your vote as being for Image 1 (ALL Capital letters), Image 2 (lowercase lsci), or Image 3 (handprints). Everyone who votes in the Comments section below will be entered in a random drawing to win a free copy of the LSCI text: Talking With Students in Conflict. This entry was posted by signewhitson on June 7, 2016 at 12:02 am, and is filed under Life Space Crisis Intervention. Follow any responses to this post through RSS 2.0. You can leave a response or trackback from your own site.